Halle Hill has been a runner since 5th grade and ran at Riverside Intermediate School. Little did she know that she’d obtain All-State in cross country coming into High School her freshman year (2017). Halle has many talents such as playing basketball. She has played basketball since the 4th grade and gained a love for both running on the course and running up and down the court with a basketball. Her freshman year she made the HSE high school basketball team in the winter after xc season. That choice to play basketball would unfortunately sit her out of her opportunity to shine in her freshman year track season. One basketball game she was in the middle of a play and a girl slammed into her. Their legs were intertwined and left Halle with a torn ACL. Everyone that heard about it sent her and her family gifts and get well soon messages because they knew how much running meant to her. The long road of recovery from a torn ACL is tough on an athlete and everyone knew that even the littlest things to keep her motivated would help. After 7 months of recovering and long hours of physical therapy she has been able to already race in 2 cross country varsity races to start out her sophomore season. After all of this hard work she’s overcome she has decided to not go back to basketball the rest of high school to be able to focus on her dreams of running. “It feels great to be back. I never realized how much i loved running until i wasn’t able to do it,” Halle said. Running definitely causes a lot of hate and love emotions but Halle is more than happy to be able to be back. With her set back of having her injury Halle is determined to make it back to state this year in cross country. Her team has her back and everyone is cheering her on as she makes her way back from fighting her injury for more than half a year. If you’re interested in keeping up with the team’s achievements and also Halle’s, look out for more news and updates on our Twitter account @SoutheasternSN and also the HSE cross country Twitter page @HSECrossCountry. 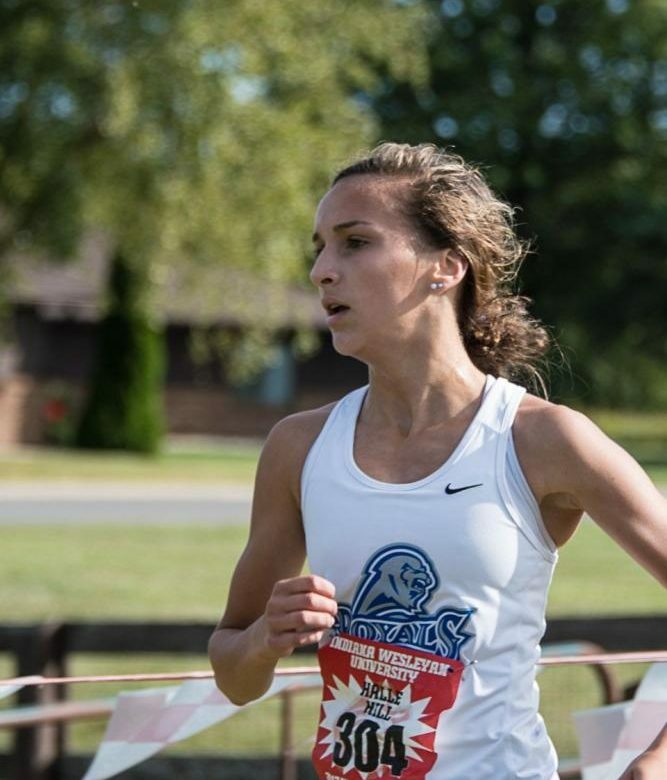 The state championship will take place October 27 on the Lavern Gibson course in Terre Haute, Indiana. Good luck this season to the HSE girls country team also to Halle as she recovers and gets more races in leading up to the goal of state!